The Torrey Team was an Eight-time Top-10 Producing team company-wide for J. Rockcliff Realtors. Previously, a four-time Centurion Award winning team, 2-time top selling team in Contra Costa County & 2-time Top-10 producing team in Northern California for the entire Century 21 Real Estate system. 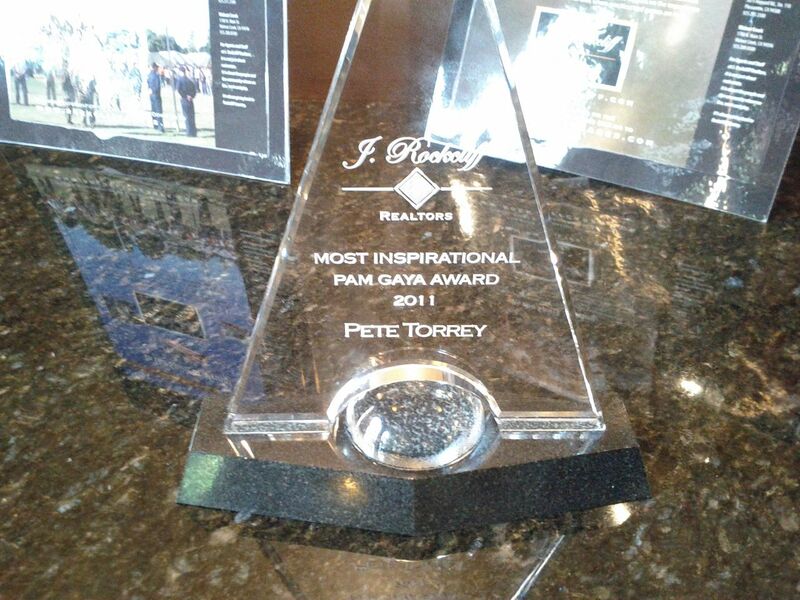 Named after the late Realtor and community servant Pam Gaya of Danville, this “Most Inspirational” award is bestowed annually by J. Rockcliff to honor the Realtor whose career and noble demeanor stirs and motivates other real estate sales professionals to strive for excellence in all aspects of their careers. Pete’s decades of industry leadership, community service, loyalty and positive outlook on the business of real estate, earned him the distinction. 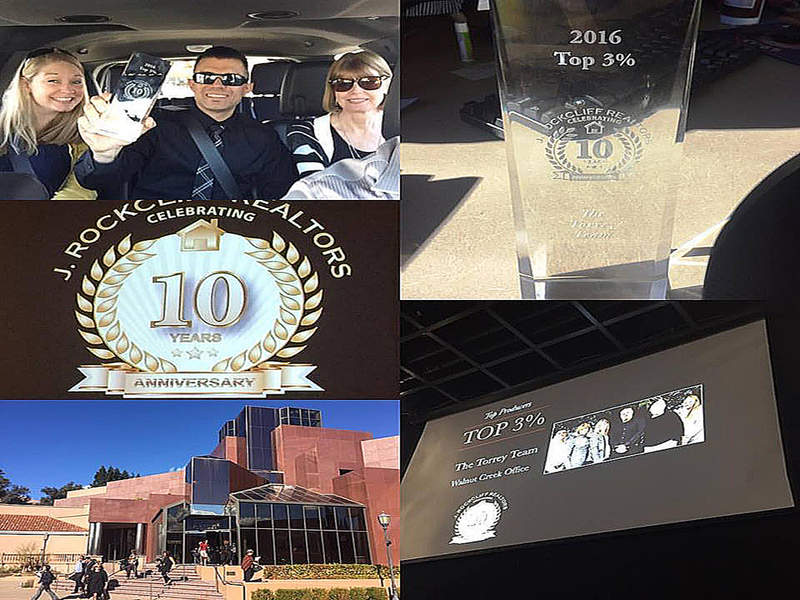 J.Rockcliff Awards for 2016 – #1 in Walnut Creek Office – #6 in all of J.Rockcliff! The annual J. Rockcliff Realtors Kickoff and Awards banquet at the end of February 2017, was historic for The Torrey Team. Our team ranked #1 in production for the Walnut Creek office and #6 for the entire company!!! We have never reached this high in the rankings. We want to give a big THANK YOU to all of our amazing clients! Here we come 2017!